4K UHD video is no longer relatively new thing nowadays. Downloading 4K videos from YouTube, Vevo or other 4K video sites on Mac OS X El Capitan or Yosemies becomes common occurrence. But when 4K videos downloading meets macOS Sierra what sparkles they will bring? After the brand new macOS Sierra was released on WWDC 2016, many Mac users upgrade to macOS High Sierra. And then they get into trouble of the existing 4K video downloader Mac not working. At the moment, a specialized 4K downloader for macOS High Sierra 2019 can do you a favor to download 4K UHD videos on macOS Sierra/Mojave. To be frankly, there is no 4K video downloader for Mac in 2019 that updates more frequent than MacX Video Converter Pro for compatible with the latest devices and operating system such as macOS Sierra. Moreover, this 4K downloader for macOS Sierra enables you enjoy a wide array of 4K video download features. Download 4K UHD videos on macOS Sierra from YouTube, FB, Vevo, 4K video sites and 1000+ sites. Directly transfer downloaded 4K HD videos to iPhone, iPad, Android, Microsoft, Google devices, etc 420+ mobile devices. Thanks to Intel QSV hardware acceleration, this 4K YouTube downloader for macOS Sierra downloads 4K UHD videos with super fast speed and original quality. Painlessly compress 4K to 1080P or compress MKV to smaller-sized video formats like MP4, MOV, etc. Easily convert 4K UHD videos to 180+ video formats and popular audio formats with high quality reserved. 1Free download this top rated macOS Sierra 4K downloader and launch it on your Mac. Click "YouTube" icon to enter the download interface and then click "+" to get ready for 4K content download on macOS Sierra. Copy & paste the URL of YouTube 4K videos to the address bar. Then click "Analyze" to load video info. 2Choose output video formats. You can download 4K YouTube videos to MP4 or other formats on macOS Sierra, or directly to mobiles like iPhone, iPad, Android. 3Click "Browse" button to set a folder to save the downloaded 4K UHD on Mac with new macOS Sierra. 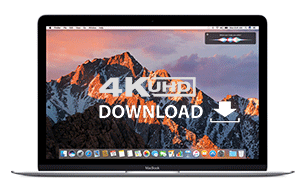 4Click "Download Now" to start the fast 4K UHD videos download on macOS Sierra. Note: The same approachable tutorial above can be applied to download 3D, 360 degree virtual reality videos from YouTube, Facebook and 1000+ sites. The 2019 4K downloader for macOS High Sierra can download 4K video movies clips very quickly. If you need to transfer 4K video downloads to iPhone iPad etc. mobile devices for offline watching on the go, forget iTunes for one main reason - it takes very long time to transfer 4K files at large size via iTunes from macOS Sierra. Here's a fast iTunes alternative for Mac but better than iTunes, MacX MediaTrans, which can transfer 4K video downloads on macOS Sierra to iPhone iPad etc. mobile at world's fastest speed in a click. It can also mount iPhone as hard disk drive, and turn iPad iPod to USB to store 4K downloads files. Of course, MacX Video Converter Pro is not the only 4K downloader for macOS High Sierra in 2019. There still some other macOS Sierra 4K downloader alternatives to download 4K UHD videos on Mac. Here lists top 3 macOS High Sierra compatible 4K video downloaders for Mac. As its name mentions, 4K Video Downloader for Mac downloads YouTube videos HD on macOS Sierra in 360 VR, 3D, 4K UHD/HD with high quality. It's capable of download 4K videos in MP4, MKV, 3GP, MP3, M4A or OGG etc. from YouTube, Vimeo, SoundCloud, Flickr, Facebook and DailyMotion only. And generally, this free 4K UHD video downloader for Mac worked fine, except for the 4K Video Downloader error occurs sometimes, like error: can't parse the video link/can't download video, etc. It is simple to use for inexperienced users. 5KPlayer is actually a free video player instead of downloader, but it also kicks the spot of 4k YouTube videos download on macOS Sierra. You are empowered to free download 4K/8K UHD, 1080P/720P HD, 3D VR videos in whatever formats and resolution from YouTube and other 300 online sites. It delivers high download quality and fast speed. 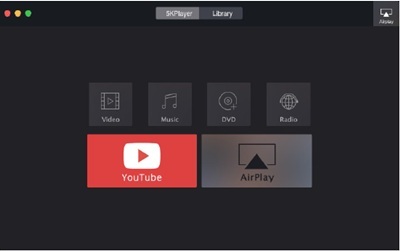 Besides, as a 4K video player as well, 5KPlayer enables you to player downloaded 4K videos on macOS Sierra without considering about the formats, because it supports almost all the video files such as MP4, MOV, AVI, MKV, ISO image etc. It's 100% safe and free. Facing at more on YouTube 4K videos, YTD Video Downloader for Mac is a good helper to free download 4K UHD videos on macOS Sierra. But does that mean that you can only download 4K videos from YouTube? Not at all, it supports more than 50 sites for 4K footage download. 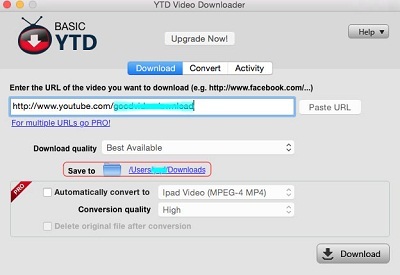 Moreover, This 2019 4K YouTube downloader for macOS Sierra can also convert videos to a few popular formats, namely MP3, MP4, WMV, FLV, MOV, 3GP, AVI for further playback on iPhone iPod iPad Android devices.